1.1 We are committed to safeguarding the privacy of visitors and service users of Smart Steps to Australia https://www.smartstepstoaustralia.com. 1.2 This policy applies where we are acting as a data controller with respect to the personal data of visitors and service users of https://www.smartstepstoaustralia.com in other words, where we determine the purposes and means of the processing of that personal data. 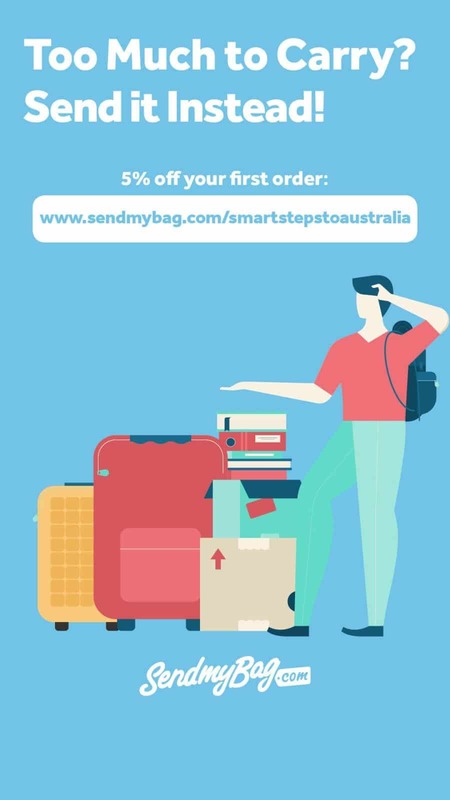 1.5 In this policy, “we”, “us” and “our” refer to Karen Bleakley, Founder of https://www.smartstepstoaustralia.com and any staff involved in working on the website. For more information about us, see Section 13. 3.3 We may process your account data (“account data“). The account data may include your name and email address. The source of the account data is you. The account data may be processed for the purposes of operating our website, providing our services, ensuring the security of our website and services, maintaining back-ups of our databases and communicating with you. The legal basis for this processing is consent or our legitimate interests, namely [the proper administration of our website and business. 3.4 We may process your information included in your personal profile on our website (“profile data“). The profile data may include your name and email address. The profile data may be processed for the purposes of enabling and monitoring your use of our website and services. The legal basis for this processing is consent or our legitimate interests, namely the proper administration of our website and business. 3.5 We may process your personal data that are provided in the course of the use of our services (“service data“). The source of the service data is you. The service data may be processed for the purposes of operating our website, providing our services, ensuring the security of our website and services, maintaining back-ups of our databases and communicating with you. The legal basis for this processing is consent or our legitimate interests, namely the proper administration of our website and business. 3.7 We may process [information contained in any inquiry you submit to us regarding goods and/or services] (“inquiry data“). The inquiry data may be processed for the purposes of offering, marketing and selling relevant goods and/or services to you. The legal basis for this processing is consent. 3.8 We may process information relating to transactions, including purchases of goods and services, that you enter into with us and/or through our website (“transaction data“). The transaction data may include your contact details and the purchase details. The transaction data may be processed for the purpose of supplying the purchased goods and services and keeping proper records of those transactions. No payment details are held or processed by Smart Steps to Australia. The legal basis for this processing is the performance of a contract between you and us and/or taking steps, at your request, to enter into such a contract and our legitimate interests, namely the proper administration of our website and business. 3.15 Please do not supply any other person’s personal data to us. 4.2 Financial transactions relating to our website and services are handled by our payment services providers, Paypal. We will share transaction data with our payment services providers only to the extent necessary for the purposes of processing your payments, refunding such payments and dealing with complaints and queries relating to such payments and refunds. You can find information about the payment services providers’ privacy policies and practices at https://www.paypal.com/au/webapps/mpp/ua/privacy-full. 5.2 We have an office in Australia. The European Commission has made an “adequacy decision” with respect to the data protection laws of each of these countries. Transfers to each of these countries will be protected by appropriate safeguards, namely the use of standard data protection clauses adopted or approved by the European Commission. 5.3 The hosting facilities for our website are situated in USA, UK, Singapore and the Netherlands. The European Commission has made an “adequacy decision” with respect to the data protection laws of each of these countries. Transfers to each of these countries will be protected by appropriate safeguards, namely the use of standard data protection clauses adopted or approved by the European Commission. (a) Analytics data associated with cookies, user identifiers or advertising identifiers will be retained for a maximum period of 50 months following collection. (b) Email addresses and names will be retained as long as you remain subscribed to our email newsletter. Your details can be unsubscribed and removed at any time. 7.3 We may notify you of changes to this policy [by email or through the private messaging system on our website. 14.1 This website is owned and operated by Karen Bleakley. 14.2 Smart Steps to Australia is run in Australia under the ABN: 38443343036 Our registered address is PO Box 299, North Lakes Qld 4509. ACCURACY: The information contained in this website is for general information purposes only. The information is provided by Karen Bleakley at Smart Steps to Australia and while we endeavour to keep the information up to date and correct, we make no representations or warranties of any kind, express or implied, about the completeness, suitability, accuracy, reliability, or availability with respect to the website or the information, services, content, products or related graphics contained on the website or associated social media, for any purpose. Any reliance you place on such information is, therefore, strictly at your own risk. In no event will we be liable for any loss or damage, including without limitation, indirect or consequential loss or damage, or any loss or damage whatsoever arising from loss of data or profits arising out of, or in connection with, the use of this website or its content. AVAILABILITY: Every effort is made to keep the website running smoothly. However, Karen Bleakley at Smart Steps to Australia takes no responsibility for, and will not be liable for, the website or Premium content being temporarily unavailable due to technical issues beyond our control. ONLINE CONTENT/ACCURACY: Karen Bleakley at Smart Steps to Australia attempts to be as accurate as possible in all online content. However, Karen Bleakley at Smart Steps to Australia does not warrant that the content on the website or in the Premium areas of the site themselves is accurate, complete, reliable, current, or error-free. If a product offered by Karen Bleakley at Smart Steps to Australia is identified as incorrect, or not as described, you should contact [email protected] providing full details. LIMITATION OF LIABILITY: In no event will Karen Bleakley at Smart Steps to Australia be liable to you for any incidental, consequential or indirect damages arising from the use of this website, the associated Move to Australia Facebook group or through using any of the external services that are linked to on the website. Our liability to you for any cause whatsoever and regardless of the form of the action, will at all time be limited to the amount paid, if any, by you to us. INTELLECTUAL PROPERTY: All intellectual property rights are owned by Karen Bleakley at Smart Steps to Australia. Those rights include, but are not limited to, copyright, database rights, design rights (whether registered or unregistered), trademarks (whether registered or unregistered) and other similar rights, wherever existing in the world, together with the right to apply for protection of the same. All other trademarks, logos, service marks, company or product names referenced on the website are the property of their respective owners. EMAIL COMMUNICATION: When you visit Smart Steps to Australia or send e-mails to us, you are communicating with us electronically. You consent to receive communications from us electronically. We will communicate with you by e-mail or by posting notices on this site. COPYRIGHT: All content included on this site, such as text, graphics, logos, button icons, images, audio clips, digital downloads, data compilations, and software, is the property of Karen Bleakley at Smart Steps to Australia or its content suppliers and protected by international copyright laws. The compilation of all content on this site is the exclusive property of Karen Bleakley at Smart Steps to Australia. TRADE MARKS: Karen Bleakley at Smart Steps to Australia’s trademarks may not be used in connection with any product or service that is not Smart Steps to Australia, in any manner that is likely to cause confusion among customers, or in any manner that disparages or discredits Karen Bleakley at Smart Steps to Australia. All other trademarks not owned by Karen Bleakley at Smart Steps to Australia or its subsidiaries that appear on this site are the property of their respective owners, who may or may not be affiliated with, connected to, or sponsored by Karen Bleakley at Smart Steps to Australia or its subsidiaries. LICENSE AND SITE ACCESS: Karen Bleakley at Smart Steps to Australia grants you a limited license to access and make personal use of this site and not to download (other than page caching) or modify it, or any portion of it, except with express written consent of Karen Bleakley at Smart Steps to Australia, with the exception of the Premium content downloads which are available for your personal download use after purchase. This license does not include any resale or commercial use of this site or its contents: any collection and use of any product listings, descriptions, or prices: any derivative use of this site or its contents: any downloading or copying of account information for the benefit of another merchant: or any use of data mining, robots, or similar data gathering and extraction tools. This site or any portion of this site may not be reproduced, duplicated, copied, sold, resold, visited, or otherwise exploited for any commercial purpose without express written consent of Karen Bleakley at Smart Steps to Australia. You are granted a limited, revocable, and nonexclusive right to create a hyperlink to the home page of Karen Bleakley at Smart Steps to Australia so long as the link does not portray Karen Bleakley at Smart Steps to Australia, its associates, or their products or services in a false, misleading, derogatory, or otherwise offensive matter. RISK OF LOSS: All online Premium content purchased from Karen Bleakley at Smart Steps to Australia has lifetime access. Should you be unable to access the content at any time, for any reason, contact [email protected]. Risk of loss for any items purchased through affiliate links are with the supplier, not Smart Steps to Australia. DISPUTES: Any dispute relating in any way to your visit to Smart Steps to Australia’s website or to Premium products you purchase from Karen Bleakley at Smart Steps to Australia can be submitted to [email protected] in the first instance. You confirm the information that you have provided through site membership is true and correct. You understand that the information you provide through site membership is stored in the Smart Steps to Australia membership database which may be hosted by a contracted service provider to Smart Steps to Australia. to register your interest in similar Premium content as it becomes available. to identify any future events or business developments that may be of interest to you. Please note that if you opt-out to receive email updates as part of your site membership registration Karen Bleakley at Smart Steps to Australia may still contact you in relation to your purchase. GUARANTEES: Karen Bleakley at Smart Steps to Australia does not guarantee eligibility to migrate to Australia. Purchasing the Premium content will not remove all work from the process of emigrating. Karen Bleakley at Smart Steps to Australia does not guarantee the outcome of your move to Australia will be successful. Any action you take as a result of reading Smart Steps to Australia, the Premium content and the Move to Australia Facebook group should be backed up by your own research and by engaging relevant, qualified professionals. Information and facts provided in the Premium content will be reviewed and updated on an annual basis. However, ad hoc changes will be made as and when Karen Bleakley at Smart Steps to Australia becomes aware of them. 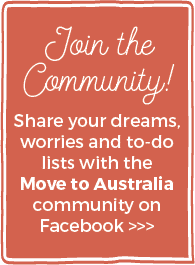 CONTENT: Smart Steps to Australia is a website and blog © copyrighted by Karen Bleakley of Smart Steps to Australia. No part of this may be copied, or changed in any format, sold, or used in any way, online or offline under any circumstances without express permission from Karen Bleakley. You can contact [email protected] with any questions. EDITORIAL: This is content written by Karen Bleakley. No compensation is received for editorial content published on the blog. REVIEW POSTS: In the case of review posts, Karen Bleakley at Smart Steps to Australia may have been sent an item to review or given a service for free in return for writing an honest review. Karen Bleakley also sometimes reviews things she has purchased herself. All views are entirely personal opinions. Not all items that are sent for review will be included in my blog. Contact [email protected] to discuss review opportunities. SPONSORED POSTS: This is content where Karen Bleakley at Smart Steps to Australia has received compensation in the form of payment, or a cash alternative, in return for writing a post, publishing a guest post or hosting a competition. Only relevant sponsored content is considered, and only ‘no follow’ links are used in this instance in line with Google requirements. Sponsored posts are identified as ‘sponsored’ or ‘in collaboration with’ in the footer of the post. CONSUMER GUARANTEES: Premium content on the site is delivered as per the outline on the sales page. Content is delivered via a secure MemberPress plugin and lifetime access is available for a one-off fee. If you have any queries, questions, complaints or compliments about the content please email [email protected]. RETURNS POLICY: As content is digital, no ‘returns’ can be given, as such. There are no refunds given down downloading the Ultimate Emigration Checklist. However, Premium content purchases are protected with a 21-day money-back guarantee for your peace of mind. If you would like to receive a refund, for any reason, during this time please contact [email protected]. Provide your reason for requesting a refund and confirm your PayPal email address. Refunds will be made within 30 days of receipt of your request. Cancellation requests on Premium content made after 21 days cannot be processed. OUTCOME: If you decide to purchase the Premium content, this has no connection to whether you are eligible for a visa or not. If you buy access and then are not invited to apply for a visa, or find out you are ineligible, no refund can be given unless it is within the 21-day guarantee period. Therefore, you are advised to ascertain as much as possible your eligibility by speaking to a registered migration agent before purchasing. Karen Bleakley at Smart Steps to Australia does not guarantee that you will obtain a visa or place any guarantee on the outcome of your intended move to Australia. Your results depend on a number of different factors, and expert advice should always be sought. PROFESSIONAL ADVICE: The information contained in or made available through our sites (including but not limited to information contained on videos, comments, live hangouts, in-person events, in emails, in text files, on social media, in the Move to Australia Facebook group or in chats) cannot replace or substitute for the services of trained professionals in any field, including, but not limited to, financial, medical, or legal matters. THIRD PARTIES: If/When you purchase from any referral links on the website or associated social media, your relationship is entirely with the business providing that product or service. You are advised to check their terms and conditions carefully before purchasing. However, Karen Bleakley at Smart Steps to Australia is interested in receiving feedback about the businesses we link to so would welcome feedback of any kind to [email protected]. DAMAGES: Neither we nor our partners, or any of their affiliates, will be liable for any direct, indirect, consequential, special, exemplary or other damages that may result, including but not limited to economic loss, injury, illness or death. You alone are responsible and accountable for your decisions, actions and results in life, and by your use of the Sites, you agree not to attempt to hold us liable for any such decisions, actions or results, at any time, under any circumstance. DISCLAIMER: Karen Bleakley at Smart Steps to Australia is not a registered migration agent or a financial adviser and therefore is unable to provide visa or financial advice.